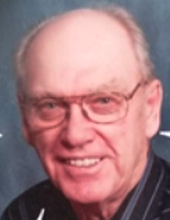 Roger Wayne Bertelsen, 81, passed away on March 18, 2019 in Lewistown, MT. Roger was born on February 7, 1938 in Los Angeles, CA. He was the first child born to Svend Bertelsen and Winifred Wulf Bertelsen. Roger attended schools in Froid, MT, graduating as salutatorian in 1956. He then attended Eastern Montana College, Billings, MT. He graduated and taught school and was principal in Pryor, MT, and taught school at the Yellowstone Boys Ranch, Billings, MT. After that he worked in Anchorage, AK and then the family moved to California. Roger married Sharon Slevin on July 8th, 1956. From this union there were three children: Charmaine (Randy) Riedel, Nathan (Pam) Bertelsen, and Brandon Bertelsen. Roger is survived by his three children, seven grandchildren, six great-grandchildren; and his sister, Janis Meidinger. In 1988, Roger married Deborah Paquin and is also survived by her and her children, Jennifer (Dexter) Jensen, Scott (Melinda) Paquin, and their six children. Roger loved music, played the piano, and enjoyed singing. He continued to sing, hum, and whistle tunes until he passed. He was also a very good dancer. He enjoyed snowmobiling and traveling. Roger had a very strong work ethic. He worked many different jobs from farming, house painting, seismographing, big rigs, and school teacher. He was a member of the Froid School Board, Sheridan Electric Co-op, Elks Club, and member and board member of the Froid Lutheran Church. While working on the north slopes in AK, for United Geophysical, he was able to look across the ocean and see Russia. While in CA, he received his pilots training and license which came in handy while working the north slopes in AK where he co-piloted as needed. Eventually, he moved back to Froid and farmed the farmstead his grandparents from Denmark homesteaded. Roger was preceded in death by his parents, Svend and Winifred; brother, Ronald; great- granddaughter, Lillia Picard; and step-mother, Alma Slevin Bertelsen. Memorial Services for Roger will be held at the Froid Lutheran Church, 10:00 a.m. on May 25th, 2019. Inurnment will follow at the Kvile Cemetery. Monetary gifts can be made to the Alzheimer’s Association, Montana Chapter, 3010 11th Avenue North, Billings, MT 59101. To send flowers or a remembrance gift to the family of Roger W. Bertelsen, please visit our Tribute Store. Guaranteed delivery before Roger's service begins. "Email Address" would like to share the life celebration of Roger W. Bertelsen. Click on the "link" to go to share a favorite memory or leave a condolence message for the family.